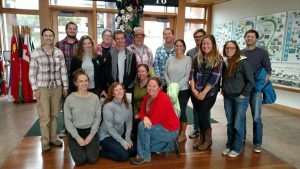 CCWG strives to engage with the public about projects through community planting and cleanup days, presentations to the public, and working with with local schools on environmental education initiatives. CCWG also provides training in the California Rapid Assessment Method (CRAM). 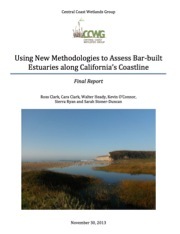 In 2008, the California Wetland Monitoring Workgroup (CWMW) was endorsed as a subcommittee of the California Water Quality Monitoring Council (SB 1070 Council). 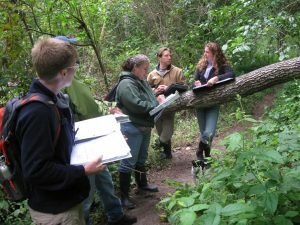 The intent of the CWMW is to effectively function as the forum for statewide coordination of wetland and riparian monitoring and assessment. To ensure that CRAM and other “EPA Level 2” (Rapid) assessment tools continue to be supported and improved, the CWMW established a Rapid Assessment Committee. The Committee is tasked with overseeing the development of additional wetland assessment tools including CRAM for additional wetland classes, creation of ambient assessment data and reference site inventories for use in evaluating CRAM results, ongoing Quality Assurance, and training. The Central Coast Wetlands Group is the lead for development, training and implementation on the Central Coast. The Castroville community is located approximately eight miles northwest of Salinas and five miles west of Prunedale in North Monterey County. The surrounding area is dominated by a system of sloughs that receive drainage from large, primarily agricultural, watershed areas and ultimately flow to Monterey Bay. The Elkhorn and Moro Cojo Sloughs, still in a moderately natural condition, are located to the north of Castroville. 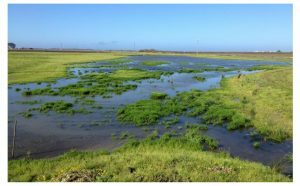 Smaller sloughs that have been channelized over time to accommodate agricultural runoff include the Tembladero Slough, located just southwest of downtown Castroville, and the Castroville Slough located northeast of the community. Both are extremely degraded with limited habitat values and high levels of contaminates. There is also minimal park land, limited recreational space (such as soccer fields), and very limited access to nature and even through parts of town via trails a person can use without a car.The location of the community of Castroville in the vicinity of the existing slough systems offers an excellent opportunity to undertake enhancement activities in conjunction with the new development and redevelopment projects described in the Community Plan, as well as locating additional project supported by the community. Enhancement of these resources will not only increase habitat value, but also provide the opportunity to create an integrated system of flood protection, drainage and water quality improvements, open space and recreation facilities, and strong visual features for the community.CCWG and partners such as the RCD of Santa Cruz have been holding a series of meetings to identify community supported projects to focus future efforts and direct future funding. These meetings are with agency staff, school representatives and the general community. Once projects have been identified that meet the goals of the community, CCWG can work to get approval for these projects and begin searching for various funding sources. 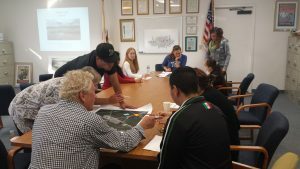 CCWG, in partnership with the the North Monterey County Unified School District and The Elkhorn Slough Foundation, worked with students and teachers at North Monterey County High School In Castroville to provide field trips, presentations, and other activities related to watershed health. This work was funded through a B-WET NOAA grant. 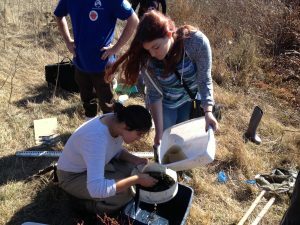 Students developed skills in different environmental data collection methodologies such as water quality sampling, invertebrate identification, and wetland rapid assessments. The program combined inquiry based science, community service, educational development, environmental stewardship, and career exploration. 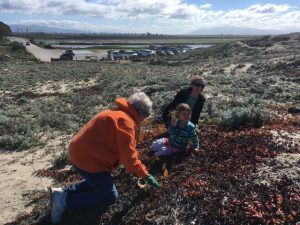 As part of the Salinas River State Beach Dune Restoration Project, the Central Coast Wetlands Group is working with Return of the Natives at CSUMB to host several community and school planting days.